Imogen's Typewriter. 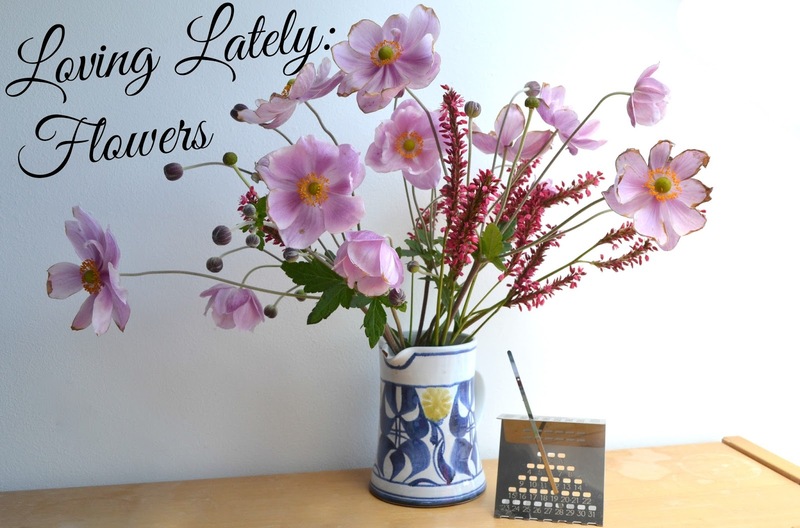 : Loving Lately: Flowers! Oh how often we forget the simple flower. Lately I have been loving having fresh flowers at my desk. I've swapped candles for flowers and I don't know if it's the sun shining, the birds singing or if it's just that I finally get it but I have been on a flower rotation for a while now which I often fill my Instagram with if you're curious. Whatever it is I have been majorly productive lately with my degree work. Coincidence? I think- well maybe but still. Pretty! I'm squeezing the last of summer out with these fresh flowers! Do you have a flower obsession like me? Link me to pictures!